Car loans are great because they provide an affordable and realistic way of owning a personal or business car. Not everyone can save more $20,000 annually to buy a car because some people have higher bills to pay. In addition, you also boost your credit score significantly by paying all your car loan installments on time. However, there are 7 Things Your Car Dealership Won’t Tell You About a Car Loan when you show up at the dealership. Are you considering buying a car through financing? Whether it’s ordinary financing or a bad credit auto loan, pay attention to the list of Things car dealerships don’t want you to know. 1. 7 Things Your Car Dealership Won’t Tell You About a Car Loan when you show up at the dealership. 2. Be a smart car buyer and learn the Secrets car dealers know! During price negotiations, your car dealer will inform you about the requirements you need to secure an auto loan. When you receive the car loan application fees, you notice three different charges, which the car dealer didn’t mention. Specifically, an establishment fee. In most cases, there’s a credit facilitation charge that ranges from $500-$900 depending on your federal state. The government expects you to pay a sales tax after purchasing a new or used car. Some federal states charge 8 % of the motor vehicle’s price while others charge 3%. Unfortunately, your monthly installments do not contain this tax or loan application fees. Since auto loans are a form of debt, you need to meet your car dealership’s credit score requirements. Some car dealerships offer application forms to potential car buyers even before checking their credit scores. If the dealership’s credit department realizes that a certain applicant’s credit score falls short of expectations, they reject his or her application. Rejected auto loan applications affect you in two ways. You lose five credit score points when a car dealer or creditor downloads your credit report from credit reference bureaus. Second, the car dealer won’t refund you because it’s your responsibility to check your credit score before applying for an auto loan. Did you know that you should purchase your own auto insurance cover despite buying a car using an auto loan? An auto loan installment mainly consists of the principal amount, interest charge, and a special insurance to cover non-payment. Some car dealers persuade potential car buyers to sign up for dealership auto insurance plans under one roof. It seems logical because a car buyer won’t need to spend time visiting several auto insurance companies. However, it’s a trap. Car dealers who offer auto insurance plans make money from each premium you pay monthly. They also get a commission when they sign up a new client to the auto insurance company. That’s why you end up paying higher monthly installments than a car buyer who opted to seek auto insurance elsewhere. Read: Do Auto Loans Require Comprehensive Insurance? Some car buyers assume that car dealers prioritize cash buyers over credit buyers. On the contrary, car dealerships prefer car buyers who want auto loans because these sales yield higher profits than cash sales. A cash buyer doesn’t pay loan application fees and interest charges. When you go to a dealership and ask for an auto loan right away, the sales reps smiles. Why? Because he or she knows that you’ll pay more interest charges than if you had negotiated for a lower price before rushing for the auto loan application forms. Moreover, sales reps earn a large portion of their monthly income through commissions based on a percentage of a car’s value. A sales rep who earns 5% per sale will make $1,000 after selling a car worth $20,000. If you bargain to $18,000, the sales rep gets a lower commission. In the current credit industry, banks and car dealerships have the freedom to establish their own terms and interest rates within specified boundaries. That’s why some federal states have lower interest rates than others. If you visit car dealerships in more affluent parts of your city, you’ll notice the difference in interest rates compared to dealerships situated in high-rise locations. Smart car buyers always consult a car loan calculator before applying for an auto loan. This helps you to determine your monthly installments based on varying cash deposits. A car loan calculator also enables you to know how much to expect for a car trade-in. You’ll also know how much you can lower or increase your auto loan monthly installments by varying your repayment period. Car sales reps know that it’s easy to lure a potential buyer by offering him or her low monthly installments. That’s why a sales reps will ask you, “How much are you planning to pay per month?” They can get you the right monthly installment amount by extending your auto loan repayment period. A longer loan repayment period only provides short-term financial relief. Creditors compensate for the low monthly installment amount by increasing your total interest. You still pay the same interest rate but you pay it more times because a long repayment period increases your monthly installments. A car buyer who chooses a 24-month repayment period has 24 installments but if he opts for a 48-month plan, he has 24 additional installments. When filling out the auto loan application form, you read that the creditor will impose late payment fees if you skip a payment. You also understood how many missed payments it takes for the car dealership or bank to repossess your car. However, car dealerships don’t disclose what happens to your credit score after taking these measures. Secured debts such as auto loans have a huge impact on your credit score. If the car dealer or creditor reports a skipped payment to credit reference bureaus, this bad record remains in your credit report for a period of 2-5 years. Now that you know the 7 Things Your Car Dealership Won’t Tell You About a Car Loan, ensure that you’re on the safe side. First, download your credit report and confirm whether it’s correct. Otherwise, you’ll lose points any time you request a bank or car dealer to download your credit report on your behalf. 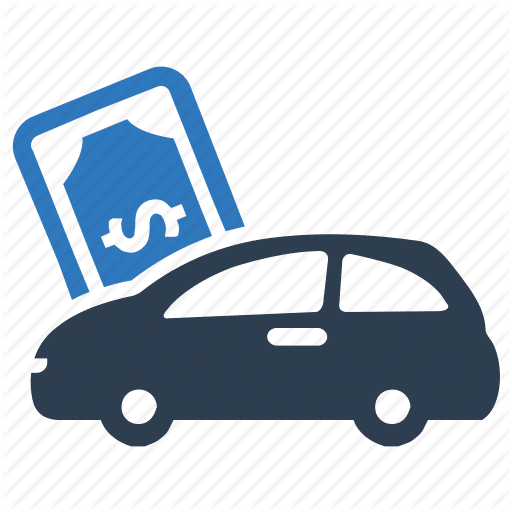 Ask a breakdown of the auto loan application fees in advance. Make sure you use the car loan calculator to avoid ending up with an upside down auto loan.